﻿ Experts: Doctors, Pregnancy SSY Program, Planning for a Baby. An Obstetrician and Gynecologist by qualification and profession, she is practicing since 2002. She was fortunate to complete her post graduation from one of the prestigious teaching institutes in India, Seth G.S. Medical College and K.E.M. Hospital, Mumbai. During her second pregnancy she experienced and discovered a lot many wonderful insights about her own pregnancy, children and human life as a whole; along with her husband, Dr. Abhijit Joshi; through ISP and SSY; programs designed by Guruji Yogabramha Rishi Prabhakar. Dr. Manisha Joshi believes that a couple�s preparation, readiness and confidence play an important role in creating a wonderful new life. Having a strong medical base, she thought of sharing her knowledge and experience with all the couples in the planning and expecting stages; and thus "My Wonderful Pregnancy" was born. A freelance Anesthesiologist since 2002, and a father of two lovely sons. He is well known as a calm, confident and an efficient anesthesiologist . He practices labor analgesia with ease and expertise. He has been an active participant, and a key team member in four medical record events listed in the Limca Book of Records. 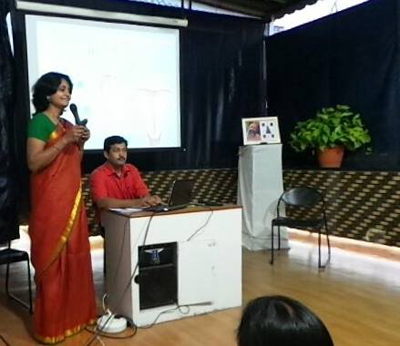 When his wife, Dr. Manisha Joshi shared her idea of starting a program for couples in the planning and pregnant stage, he not only supported the concept but has been very instrumental in organizing the content, research and development. Dr. Abhijit is always eager to learn new things and loves technology and gadgets. He believes that peace of mind and silence leads to effortless manifestation and creation. His passion is to inspire everyone around him. A child-parent counsellor, a SSY Teacher, a Life-coach, a spiritual guide, and a yoga teacher. By qualification he is a commerce graduate and a psychologist. By profession he is a child-parent counsellor. He is passionate about the overall development of children and believes that the right kind of parenting and environment can contribute to their growth. Sameerji has changed so many lives and continues to be a support, a guide and a teacher to all. He loves to listen to different kinds of music, play with children and spread happiness and love everywhere. Shri Sameer Naik has been very much instrumental in supporting and helping to develop "My Wonderful Pregnancy" right from its conception. I feel more connected to my baby. Much more positive than before for a successful pregnancy. Fears are no more there. Medical & spiritual blend of this course is very helpful in raising the consciousness level in this phase of life. The schedule of the April-May 2019 Batch is now updated. Before joining "My Wondferful Pregnancy" I was thinking that Pregnancy is very troublesome for every women. But now I am fully acknowledged that pregnancy is a NATURAL & very easy process. "My Wondferful Pregnancy" gives NEW Realization of LIFE in all aspects like mental, physical & spiritual developments. Now I�m enjoying my pregnancy very happily & with all enthusiasm. My Husband always encourages me & helps me in all activities like pranayama, yoga & etc. We are very HAPPY & eager to welcome our Dearest, lovable SONU. I feel much more confident about my pregnancy and delivery. I am all filled up with positive energy and positive thoughts. I have adapted many improvements in my routine, nutrition and thinking. "My Wonderful Pregnancy" has made my pregnancy more meaningful and more enjoyable. Thank you for this lovely experience. Read about the program on the website, http://mywonderfulpregnancy.com/psp and also Feel free to call on 9766495389 for more details. We have renamed the "Pregnancy SSY Program" or "Pregnancy Siddha Program" or PSP to "My Wonderful Pregnancy". Only the name has changed; the inspiration, foundation, contents, context, teachers and all the sessions are the same. © 2013 My Wonderful Pregnancy | All rights reserved.